Rack collapses are rare but they tend to be catastrophic when they happen. Simon King and Jonathan Bennett presented at The Health & Safety Event on how The Storage Equipment Manufacturer’s Association’s independently audited distributor group members can help to maximise rack safety. The design of pallet racking was largely perfected 40 years ago but proper maintenance is key. 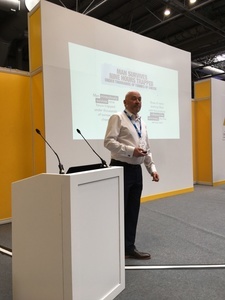 Simon King (pictured below), ex-chair, SEMA Distributor Group told the Safer Logistics seminar theatre: “The problem is that while the product - pallet racking - has very serious safety implications if it goes wrong, there is very little regulation of the industry. In 2013, a woman was killed in a rack collapse, when important locking pins were missing in the racking. As well as the risk of injury, product damage and business disruption are also major concerns. A catastrophic racking failure can cost a company millions. Jonathan Bennett, chair of the SEMA Distributor Group (SDG) added: “To protect yourself from these issues, you’ve got to look for the badge of credibility. “If you need to have gas work carried out, you would only use Gas Safe registered installers. “For racking, we recommend SEMA as the badge to look for when you need rack repair, maintenance and installation. “SDG comprises 30 elite companies throughout the UK. Our members are independently audited across many criteria. 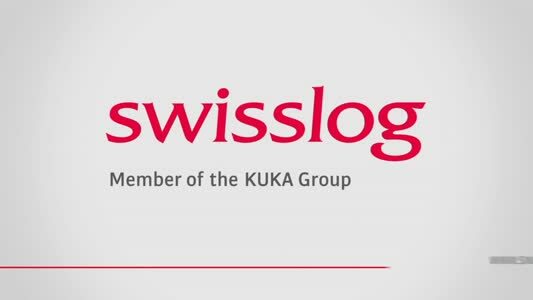 “We have a two stage process for adding new members, we will vet their references, and then have an independent auditor scrutinise their processes. SDG takes a rigorous approach, with 20% of its original members asked to leave the Association because they could not meet the standards.